Timeline Entries Archive - Northstar Pulp & Paper Company, Inc.
Northstar improves its plastic processing capabilities with the investment in a Vecoplan RG52 Shredder. This shredder provides a 100% increase in our capabilities to process larger plastics, including large purge chunks, plastic pallets, and other large parts. 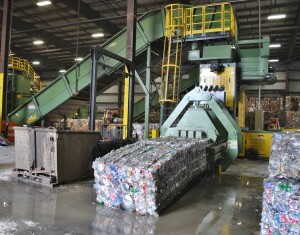 Northstar Pulp & Paper Company celebrates the installation of a new Bollegraaf HBC 120 Baler. The new baler produces a 20% denser product while reducing energy usage and run-time. 50,000 square foot expansion is made to house a state-of-the-art Bollegraaf HBC 110 Baler. Corporate Headquarters are established with the acquisition of 89 Guion Street Springfield, MA, which formerly housed Technicarbon.